Now is less that one week until Easter, when you get to hunt eggs, eat lots of eggs, candy and other easter dishes such as lamb. 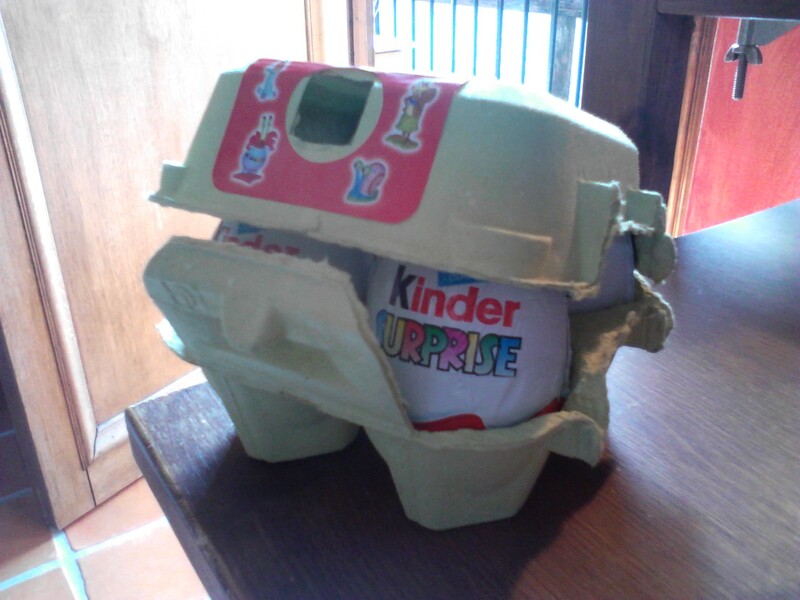 However, I got a pre-start when my sister gave me four kinder egg in this special box as a lat name-day present. Isn’t it adorable? This entry was posted in My life and tagged Blåkulla, Candy, Easter, Easter decorations, Easter egg, Egg, Kinder egg, Påsk, Påskärringar, Present, Sister, Sweden, Swedish traditions, Traditions, Witches.